Police Chase Adventure sim 3D - Chase and Smash criminals in this thrilling Police driving simulator! Be the Bravest Cop and Play for Greater Cause!! Drive, Chase and Catch the Criminals!! Imagine the rush and thrill of chasing and smashing all those crooks that pose a threat to the peace in city! The cliché cops vs. robber’s story gets a brand new twist with this Police Chase Adventure Sim 3D. Your city is in need of a COP HERO who can chase down even the most wanted thugs and help eliminate crimes! Report for duty OFFICER, get into your police car and give the criminals what they deserve! This Police Chase Adventure Sim 3D isn’t all about driving fast. Be careful to leave the innocents untouched as you weave through a suburban 3D environment. Follow the fast paced CRIMINALS and bang into their cars to thrash them! Unlock access to different cars and settings. There is a lot of car smashing involved! Police Chase Adventure Sim 3D is an exciting simulation game which will test your SKILLS that are most essential to be a great cop. So get out there and protect your city! 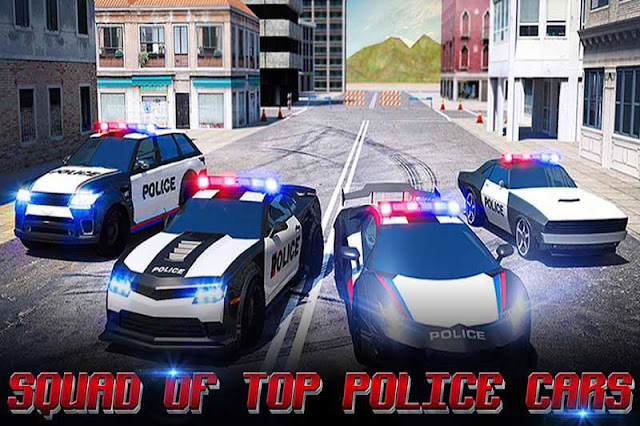 Police Chase Adventure sim 3D: install APK and play the game.